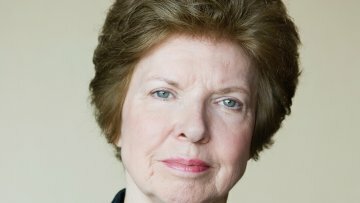 Head of Transparency International Huguette Labelle: No calls from Russia | Russian Legal Information Agency (RAPSI). Members of the G20 working group on the fight against corruption spent the 25th and 26th of February speaking in Moscow about measures aimed at combatting bribery, extortion, money laundering, and more. One such participant was Chair of the Board of Directors of Transparency International Huguette Labelle. In between G20 engagements, Labelle made time to speak with RAPSI about her visions of the future and Russia’s place within it. She admitted to not having received any phone calls from Russian authorities inquiring how the country’s reputation for corruption might improve. Vladimir Novikov: We will start with a very general question. How would you assess Transparency International’s work over the past 20 years? Huguette Labelle: Two years ago we reviewed our work over the last 18 years and felt that a lot had happened, but that [we needed to work] not only with the governments at the top, with the private sector, with the leaders, with the systems that needed to be in place, the laws that needed to be in place – we needed to work more directly with the people. That’s easy to say (laughter), but not so easy to do. It really means trying to find ways of linking corruption to the daily lives of people, so that they understand the damage to themselves. Secondly, to find multiple ways of reaching them – not everybody has a computer or a smart phone. Thirdly, we need to find way of working with communities of people. To help people to identify what it is that’s a problem concretely for them. We have developed a lot of tools to work with the national governments. And right now we’re beginning to focus on developing new tools to work with local governments – because that’s where a lot of the corruption is taking place that effects people – so that we can help the local communities not only to identify the problems, but also help them with instruments, with tools that can help to bridge them to their local government, so that they can influence them, and to make sure that local government is more ready to listen and work with the people. And just two or three other points: we’re also looking at young people as being part of the solution, but it means working with them as well. What you don’t want is to create destabilization. You want them to become constructive providers of solutions. In the same time we more and more actively are working with the education system. Of course we do not abandon our traditional spheres of activities: justice system, financial systems, procurement, laws, institutions, but yet again, our main focus is on people. Novikov: You are absolutely right in addressing people. But in addressing national governments, you need a positive response and engagement from them. In Russia unfortunately these days, the government seems to do everything possible to disconnect civil society and local communities from decision making, to ostracize civil society organizations, and to set them aside from major changes and developments. First of all – what do you think about this situation? And how do you plan to work under such circumstances? Labelle: If we look at countries that have been successful in dealing with corruption – and we still find corruption in every country, but some countries are doing much better than others, - we see that those countries are very open. With much transparency in all what the government does, that parliament does, and where civil society is seen as a real asset. Civil society helps government to identify problems which it cannot see by itself. Secondly, government that is serious about dealing with corruption faces strong pushback by those that benefit from corruption. And unless there is a counter pushback – and civil society is the usual one – it becomes very difficult for such a government to implement its anticorruption programs, since it does not have people who promote what it is doing, and support its actions. Novikov: Difficult question – it seems like in Russia those not-so-nice-guys organizing pushback against anticorruption reforms and transparency reforms seem to be winning in Russia right now. And the situation is developing in such a way that it is possible to imagine in the future that the work of international organizations are becoming very difficult or almost impossible. Is TI ready for this development, and if so, what will TI be doing? Labelle: There are a number of things one can do. And that is to continue to stress with the authorities the fact that civil society is the best allies any government can have for real anti-corruption reforms. The more leaders express the importance of dealing with corruption, which one hopes they will continue to do, the greater is disconnect between that and what they want to achieve if at the same time there are repressions against civil society and against people in general. I think that the press plays a very important role in this. Also it is important to have proper access to information, as well as proper whistle blowers’ protection system. There should be regulations for lobbyists and their registration. And civil society plays crucial role in developing of all that. Active civil society and NGO community is not something out there – it’s part of a bigger society one wants to build – a society which is open, which is fair, which is just, and in which everybody has a role to play. Novikov: It is common knowledge that the problem with Russia is transparency. Do you see its position with the G8 and the G20 as having the potential of increasing transparency? Labelle: There are a number of things. One – because Russia ratified the UN Convention Against Corruption, it had to adopt relevant legislation. Two – it’s now part of the OECD Anti-bribery Convention, so there is a second framework which sets international standards. And as you pointed out there is G8 and there is G20. All together we have many major international instruments where Russia has been playing an important role. And now with the G20 presidency, with all the eyes of the world on the country – it’s not just the G20 countries that see the G20 as important? the rest of the world is also looking for what the G20 will do, - Russia has to live up to its own commitments. And one of the most important commitments made by G20 countries including Russia, - and Russia has it as its absolute priority, - is inclusive economic growth is important, but you can’t have it unless you curb illicit trade, money laundering and tax evasion, which are all linked to corruption. Within G20 format there will be a lot of discussions on mutual legal assistance, on exchange of tax information, on disclosure of beneficial owners of trusts and of companies. So quite a big portion of G20 agenda is about openness and transparency. Novikov: You mentioned that the press plays an important role. There are a lot of journalistic investigations. But as soon as the Magnitsky Act was enacted in the US, something started to move. The government started to engage into something real. Does it really mean that on a national level, investigations are not as important as international pressure? Labelle: Our experience is that both are important. The press continues to play – especially the press that does investigative work – a very important role in identifying cases – sometimes in identifying information that people otherwise will never have. But in today’s world, I think international reaction is recognized by all countries as being something that they are concerned about. They want their country to be standing well internationally, because if you want investments to come to your country, you want to be rated well by the rest of the world; if you want to be able to sell your products, you want to be rated well by the rest of the world; there’s also a more esoteric area of national pride – which also relates to that. At the same time, I think that people within the country – because they’re the ones that elect their leaders – pay in all this the most important role. Novikov: You mentioned ratings. We noticed that in TI’s Corruption Perception Index, Russia wasn’t doing that great. But at the same time, we know that our government considers it and sees it, and reacts to it, but nothing really changes in terms of curbing corruption. Does this mean the government doesn’t care about these ratings and indexes? Labelle: Interestingly enough, the fact that countries do react MEANS THAT it has its importance. And we get various reactions from around the world when we publish the CPI. One of them is to say – we’re doing very well, so everything is perfect, thank you for noticing that. Whereas those who are at the bottom, there are two kinds of reactions: first, some countries always question the methodology. And of course there is always an issue of comparison with neighbor countries attached to that. Alternatively, sometimes I get calls from presidents of countries or prime ministers saying – we know that we have a problem with corruption. Can you help us? Novikov: Have you ever gotten a phone call from Russia like that? But basically, we publish those surveys to keep corruption high in the agenda. It’s a very small part of what we do, but it attracts more attention than everything else that we do – developing tools, developing systems, etc. to try to make a difference. What I often tell those people is that you might have all the right legislation, but if enforcement is missing, if implementation is missing or if you don’t have adequate resources for the institutions to do their work, than regardless all that brilliant legislation on paper something is still missing and people don’t see a difference in their daily lives. Or you might have done quite well at a national level, but your local governments are continuing to work exactly as they have always done and keep requestiong bribes for everything that people need in their daily lives. Novikov: Talking about international commitments and legislation – in latest years it became very high on Russian national agenda the fact that Russia didn’t ratify Article 20 of the UN Convention Against Corruption, which deals with the criminalization of illicit enrichment. And they’re still very much holding to the position that it’s not going to work here. Why do you think they’re so stubbornly supporting this stance? But it’s interesting because illicit enrichment means that you increase the gap between the rich and the poor, and that you increase the possibility of social destabilization eventually. And that you reduce your capacity to have a broad middle class who are the ones who pay taxes in order to have proper public services. So it’s going to be interesting to see if over the next number of years Russia changes its mind on that because if country plans to have economic growth, but if that economic growth becomes reality only for the few – than you’re creating major problems for the future. Novikov: Let’s stop being harsh on the government, and let’s talk about some good things they’ve done. There have been two initiatives. First, they banned officials from having foreign bank accounts, and that initiative was announced recently suggesting that public officials shouldn’t have accounts in the banks abroad. The second initiative was for people working in law enforcement and in legal professions not to have any assets broad. They were given one year to tackle the issue. Do you think these are viable anti-corruption instruments? Labelle: I think that very often people use accounts abroad as a way of either laundering money or evading taxes. Not always but very often – or of laundering money in order to do illicit trades – in arms, in drugs, in people. So in that sense, I think there’s a quite positive potential in those initiatives. I believe that high level of openness, where all officials must report publicly all their assets whether they’re in the country or out of the country, is a very important deterrent. And I think it’s vital in any country that those working in the government, parliamentarians, civil servants, the ministers, governors, mayors – have to declare their assets. I think it is a very powerful way of preventing people from stealing the assets of the government for their own personal use.